What is included when I order a new Redimark device? You’ll receive all components that are necessary to get you up and coding—a coder, tablet controller, TC12 mount, power supply, a starter-sized ink cartridge & low profile USB (as well as all necessary cabling, of course). And—it comes fully assembled. Just mount it in place, plug it in, and put in the cartridge. What substrates and package types are compatible with Redimark coding systems? Using the right ink for the packaging material is critical, so use our Product Advisor to help with product selection if you are unsure about which ink to use for your substrate. Redimark systems can print on plastics of nearly every kind, paper materials such as labels, cartons, boxes, bags, and aluminum foil, trays, and laminated pouches. Flat surfaces are best, since the inkjet throw distance (the distance between the print head and the product) needs to be 1-3mm for optimal print quality. While we pride ourselves in the wide range of applications that are suited to Redimark inks, it’s best to mark clean and dry packaging surfaces. I am trying to code on a curved or uneven surface. How do I know that the TC12 will work for this? The TC12 has a jet throw distance range of 5mm or 3/16″, or approximately a pencil width. The substrate that you are inkjet coding cannot be an obscure surface or have a radial curve greater than the 5mm throw distance from the print head. QUICK CHECK: If the inkjet code appears blurry, faded, or spread out, this could indicate that your product is too far away from the print head nozzles. Is it easy to install the system? Yes, it’s remarkably simple. It’ll take about 5 minutes from opening the box to printing your first code. How will I get notified of Software and Firmware updates? When you make your first system purchase, you’ll automatically receive a Redimark Account. Your account allows you to receive notifications about your product. You’ll be notified of any updates in your account and also via text message and/or email if you sign up for remote notifications. What is RediNet? RediNet is the proprietary on-board software that allows your new Redimark system to communicate with your Redimark Account wirelessly. What is the Product Advisor? Through a brief series of questions, the Product Advisor can match your application to one or more of our inks and coders and will let you know which products are the best match for your needs. You don’t have to sign in to use it, just click and go. Do I have to register to use the Product Advisor? You don’t have to register. The Product Advisor has one job: to help match your application requirements with our inks and coders. No registration, no phishing, just informed and intelligent advice. Do I have to use the Product Advisor to purchase a coder or ink? No. you can go directly to the product pages, look at data sheets, and make your own decisions. You can add to cart from the product pages. 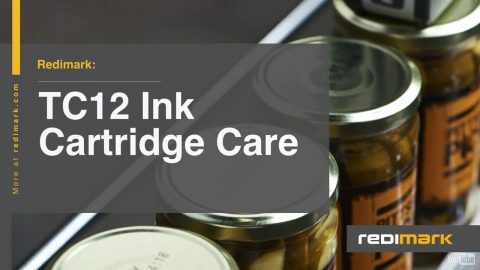 If you’ve purchased from us before, you can even go to your Redimark Account and reorder ink. When will my order ship? Typically your order will ship within 24 hours. You can check the shipping status of your order in your Redimark Account. What shipping methods are available? Standard shipping is free. We use FedEx for shipping. Depending on your location, you may have several options to choose from. Options generally include: Express Saver, 2-day and overnight. Choose the shipping option that best suits your needs during checkout. Do you ship internationally? Not yet, but check back soon. What payment methods can I use? All major credit cards are accepted: MasterCard, Discover, Visa & Amex. When will my credit card be charged? Your card will be charged when you place your order. Will I be charged sales tax? Yes—you’ll be charged appropriate sales tax based on your shipping address. Can I cancel my order? Yes, you can cancel your order before it ships. But if it has already shipped, we have a painless and no-hassle return policy. Can I return my product? Absolutely. See our no-hassle return policy. Or call us to initiate a return: 1-844-770-7334 (REDI). 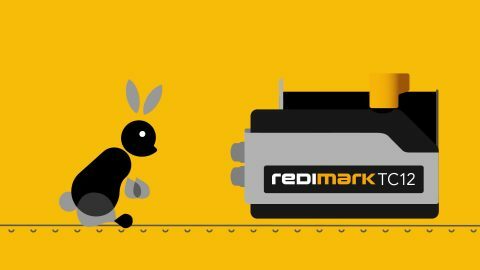 Where can I read Redimark’s terms and conditions? Right here! Where can I learn more about product warranties? Right here! Why do I need a Redimark Account? Your account gets created when you purchase a system from us. Product activation is required to operate your Redimark device. A wireless connection makes activation easy and automatic. If a wireless connection is not available, copy down the serial number from the label on the controller (these will be displayed on the interface the first time you power up the system)—you’ll need to use those numbers get an activation code through your Redimark Account. Once you have the activation code, enter it into controller and you’re good to go. I just received my ink, what do I need to know to keep the ink in good condition? All ink cartridges should be covered when not in use. When production is paused, the cartridge should be removed and the nozzles should be covered. The T801K and T401K inks come with a storage clip for nozzle protection. It’s recommended that you keep this storage clip. If the clip is unavailable, placing a small square piece of adhesive tape over the nozzles will keep them clean and ready to code. For complete care and instruction see our ink data sheets. How do I unclog the print cartridge nozzles? Wipe the front of the cartridge with a lint-free wipe. The stain that should appear on the wipe should be a dark streak that looks like a thick black marker stripe. Proceed to wipe until this mark occurs. If problem persists, replace the cartridge. What does the term “Idle Time” refer to? The term “Idle Time” refers to the decap time, or the time that a cartridge can be left uncovered while not in use before it needs to be covered using either the cartridge clip included with the cartridge or a small piece of scotch tape. What kind of product support is offered? Our Customer Success Engineers are available 5am – 5pm PST (pacific standard time). You can reach out to them via our Toll-Free phone number 1-844-770-REDI (7334), online via live Chat (click Chat on our website), and you can also contact support via your Redimark Account by starting a support ticket. Our Redimark Answering Service is available 24/7 and can be reached at the same Toll-Free number 1-844-770-7334 (REDI). We also have a library of documents, videos and other helpful content here on the Support page.